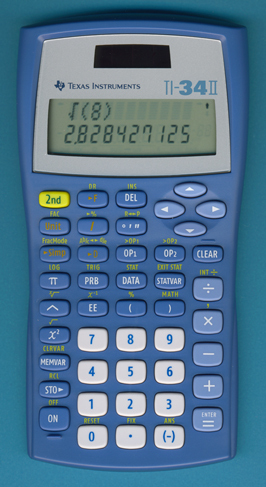 Just a redesign of the original TI-34 II introduced already in 1999. We purchased the featured calculator in February 2010 in Germany and discovered a different internal construction compared with a TI-34 II manufactured in 2004. We knew with Inventec Shanghai, Kinpo Electronics, Inc. and Nam Tai Electronics, Inc. already three different contract manufacturers for the TI-30X IIS and it wasn't really a surprise to see a TI-34 II manufactured by Nam Tai Electronics, too. Texas Instruments complemented both the TI-30X IIB and TI-30X IIS with the next generation scientific calculators TI-30XB MultiView resp. TI-30XS MultiView in June 2007. The successor of the TI-34 II was announced May 9, 2007, too but the TI-34 MultiView didn't hit the stores together with its sibblings. © Joerg Woerner, March 10, 2010. No reprints without written permission.